I imagine lots of you have started New Year’s healthy eating regimes. Not necessarily a diet but perhaps a vow to eat more healthily, cut down on a couple of snacks here and there, and also stop eating so much cake and chocolate. I was, therefore, planning to post a few healthy recipes in the coming weeks to inspire you to keep going. But despite these good intentions I got off to rather a poor start when I completely failed to take any photos of the chicken noodle soup I made last week, which is a shame as it’s completely delicious. Fear not though, I’ll make it again soon so watch this space! 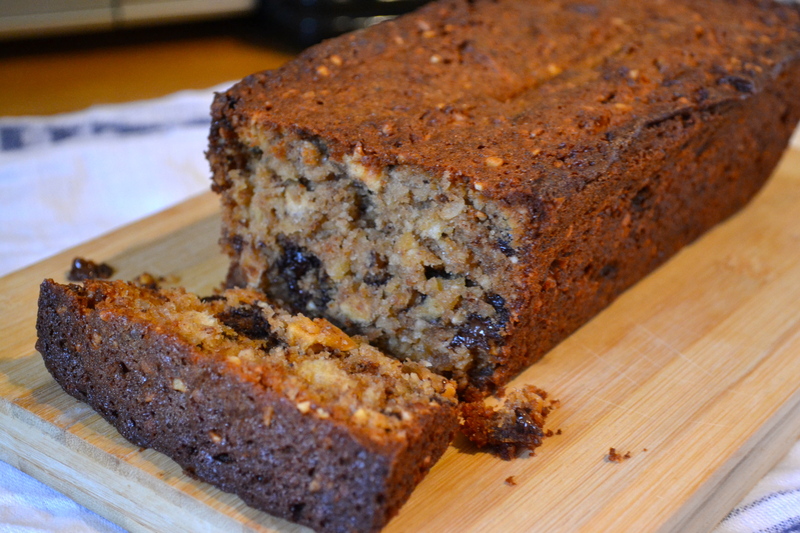 In the meantime, I intend to lead you astray with a cake recipe. The Hummingbird Bakery’s Nutty Apple Loaf is definitely not in line with any healthy eating regimes, unless you’re like me and can convince yourself that if it’s got both apples and nuts in it then it must be vaguely good for you! But I’ve been wanting to bake this loaf for quite some time, and visiting a friend for tea provided the perfect excuse over the weekend. As per usual I failed to read the method ahead of time – some people never learn. Only when I started making the loaf at lunchtime ready for a 3:30pm visit did I spot the requirement to leave the mix in the fridge for at least a couple of hours or overnight. So one hour is all it got and, whilst I obviously don’t have a comparison, it was pretty good all the same. 1. 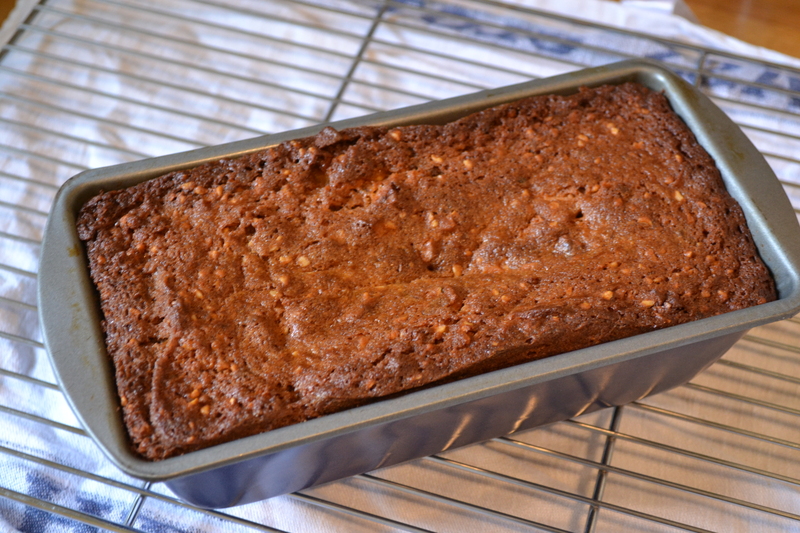 Grease a 23cm x 13cm loaf tin. 2. Place the butter, sugar and jam in a freestanding electric mixer with a paddle attachment (alternatively use an electric whisk). Cream together until light and fluffy. Add the eggs one at a time, scraping down the sides after each addition. 3. 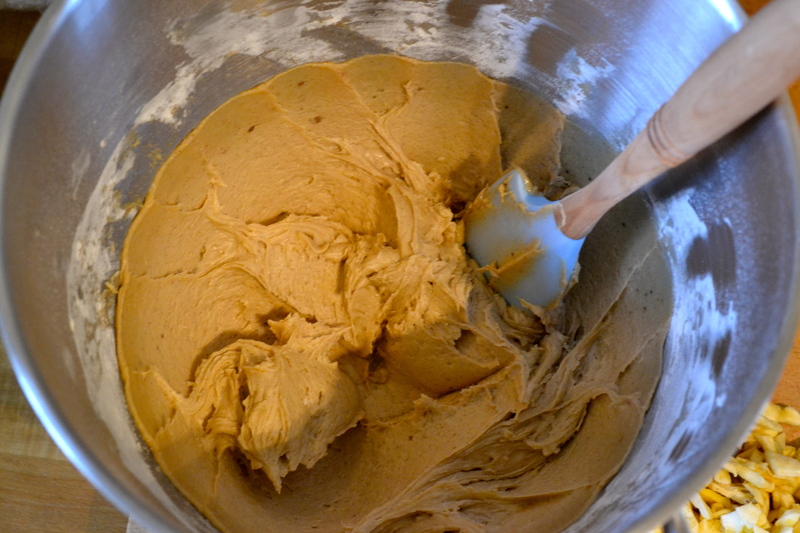 Sift together the flour, baking powder and cinnamon and beat into the butter mixture. 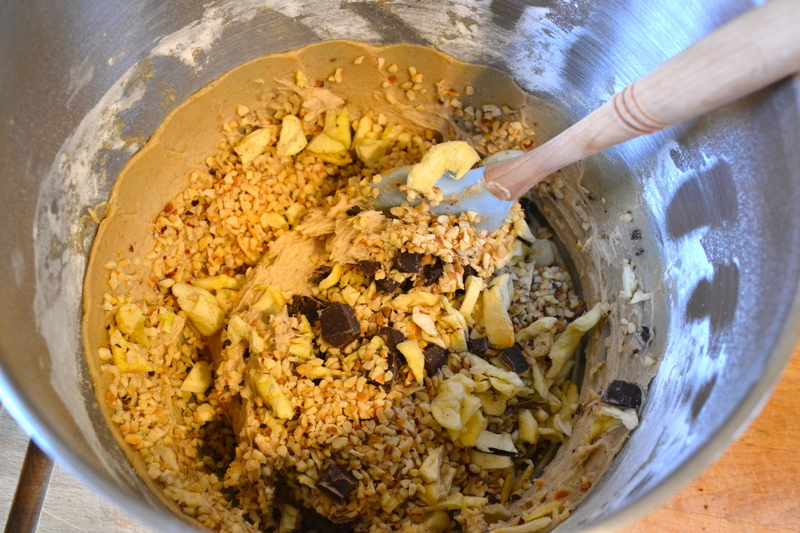 Scrape down the sides then mix quickly again. 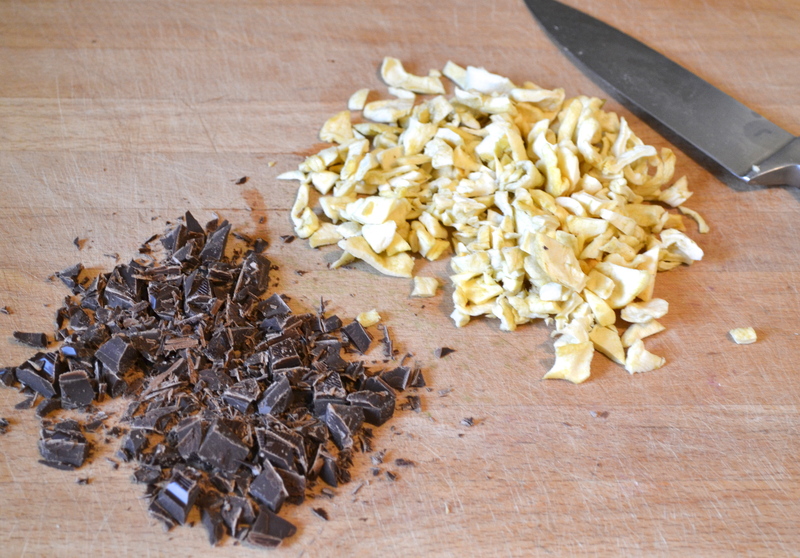 Stir in the nuts, chocolate and apple. 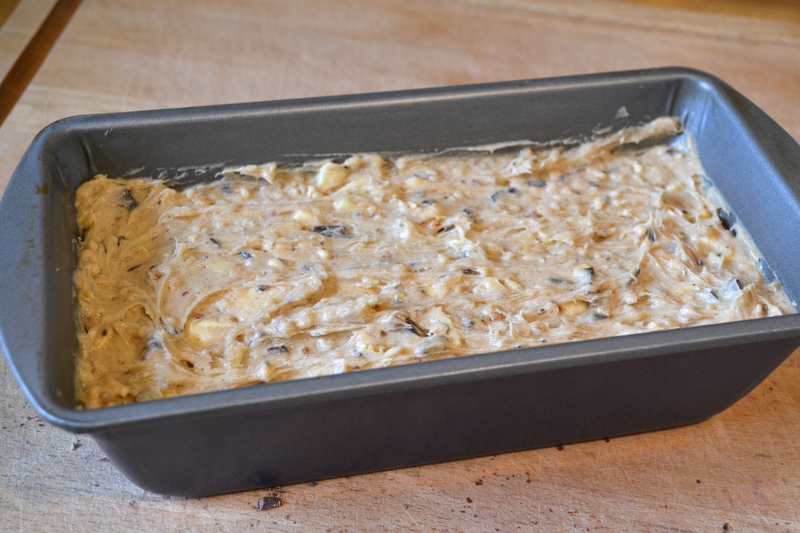 Pour into the loaf tin and flatten out the surface of the mix. Cover and refrigerate for a couple of hours or overnight. 4. Preheat the oven to 170°c/150°c fan/325°f/Gas Mark 3. Bake in the oven for 50-60 minutes until brown and the sponge feels firm to touch. Insert a skewer/toothpick into the centre – it will come out clean if cooked through. 5. Leave to cool in the tin for a few minutes before turning out onto a wire rack to cool completely. Shouldn’t it be one teaspoon of baking powder instead of a tablespoon?? It does seem like a lot but it should be a tablespoon! It needs the extra oomph from it to rise with all the goodies inside.